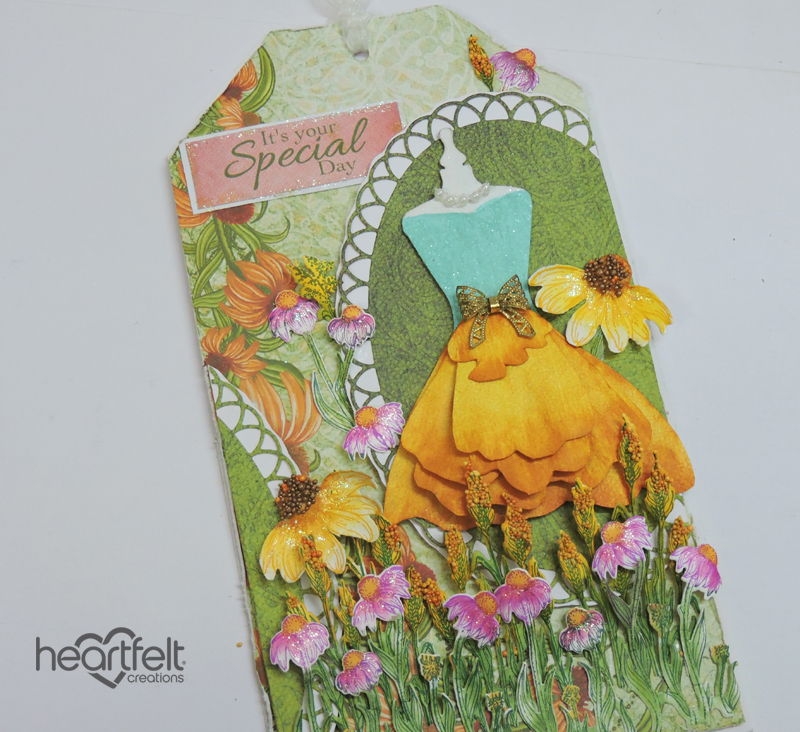 Its Heartfelt Creations Wednesday inspiration, so join me for another fun project created using Backyard Blossoms Collection. The Finished tag measures 9 x 5 inch. Cut pattern paper 1/4 inch smaller than the tag, distress the edges and adhere on top of tag base. 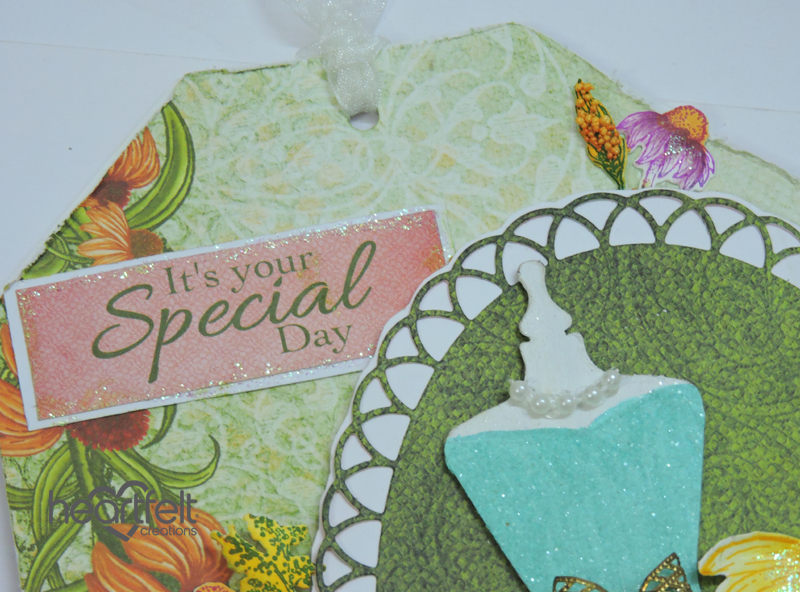 Die cut green color pattern paper from the collection using largest die from Eyelet Oval die set and mat with white cardstock. Cut it into two unequal parts and adhere one part on the upper right side and another part on lower left side of tag as shown with 3D foam tape. Color MDF Mannequin cut out with white and blue acrylic color. 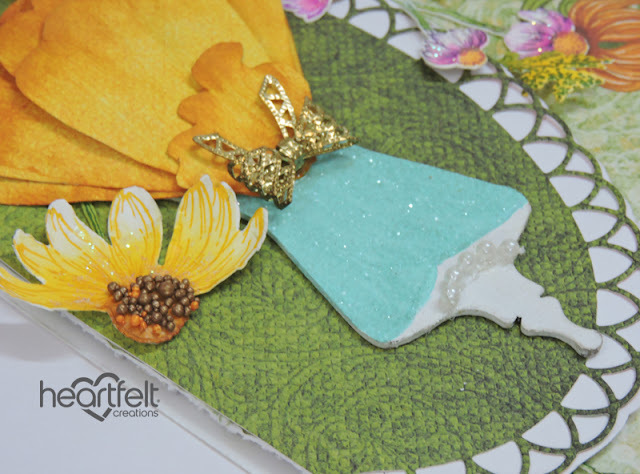 Apply Distress clear rock candy glitter with clear dry glue. 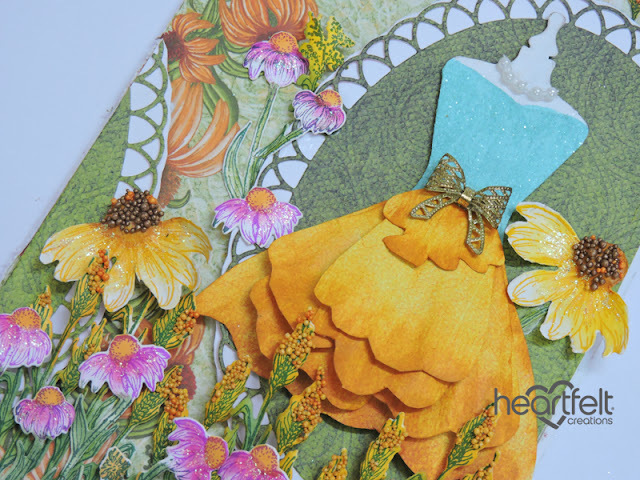 For creating the skirt hand draw the flared skirt pattern on the yellow color pattern paper, cut with the help of a scissor and distress the edges with Archival ink Saffron. Next layer the skirt pattern cutout on top of each other as shown. 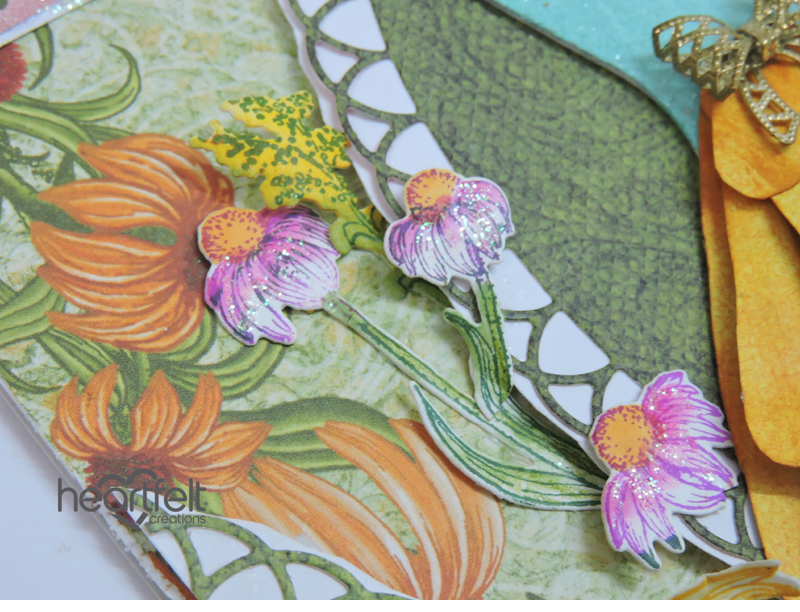 Stamp big flower and smaller filler flower images from Backyard Blossom stamp set with Archival ink Saffron, Plum and Library Green; die cut using the coordinating die. For Coloring the big flowers use Archival ink Saffron and Sepia and for small filler flowers use Archival ink Vibrant Fuchsia and Saffron. 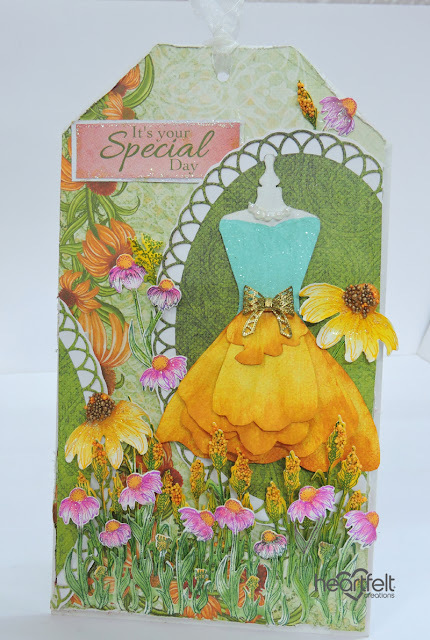 Also stamp the ferns from Garden’s Edge Coneflower Stamp set with Archival ink Library Green, die cut using the coordinating die. Color the image with Archival ink Saffron, Olive and Fern Green. 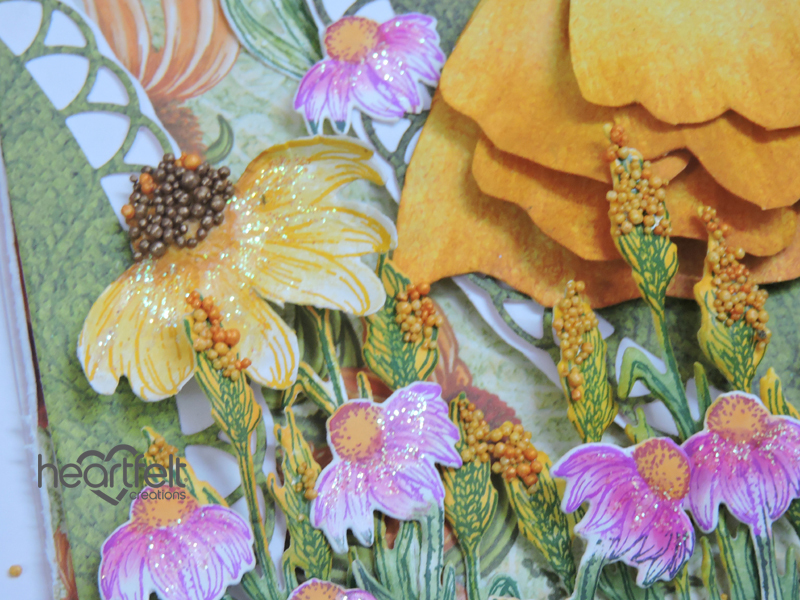 Arrange the flowers and fern images as shown and paste with clear dry glue. Apply Prills on the top of ferns with clear dry glue. Finish of the tag with a sentiment from the collection. Apply Glitters on top of flowers and metal bow and pearl string on the MDF Cutout. Simply beautiful and oh so creative! thanks a lot Glenda your words really means a lot. Gorgeous work of art Pavitra! I love how you created that beautiful dress! 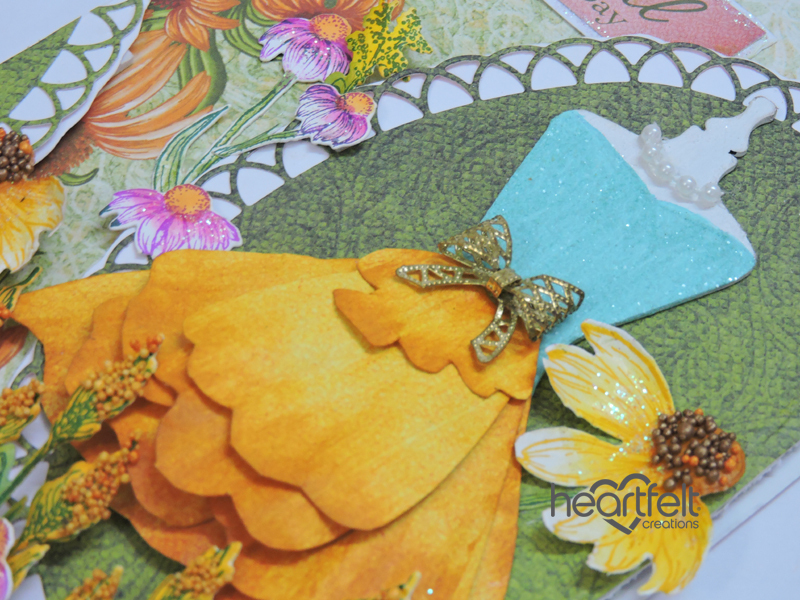 Beautiful garden and garden dress for a lovely tea party I think!